Have you yet experienced seeing a drone pass by or here the buzz of one swooping close to your head? 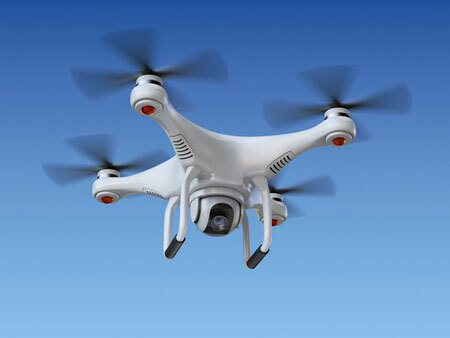 Drones are unmanned aircraft, many with camera capabilities. They may be flown by your neighbor, a local business, the government. If you haven’t seen one yet, you will soon, almost a guarantee. In 2016 alone, hobbyists purchased 1.9 million drones! Businesses are beginning to purchase drones for commercial purposes. This year, we expect to see upwards of 600,000 drones being used for commercial use. Companies are turning to drones for things like aerial photography, real estate, construction, advertising, search & rescue, landscaping, insurance and heck, Amazon is now using drones for package delivery!! If you are considering using drones to save on manpower, do some company research, scope out the competition or whatever it may be, you must consider the use regulations from the FAA regarding Unmannned Aircraft – i.e. drones. Where does insurance fit into all of this? There are several potential liability issues to consider before implementing the use of drones for your business.  Data Breach – if the drone is collecting personal data and is hackedHere at Gallen Insurance, we recommend that anyone using a drone for Personal or Business use needs to have a conversation with their insurance agent to determine their potential insurance exposure & risk and to make sure there are no open gaps in coverage. We can also discuss the rules & regulations for operating a drone.